The skyline over the ITER construction site has changed again. 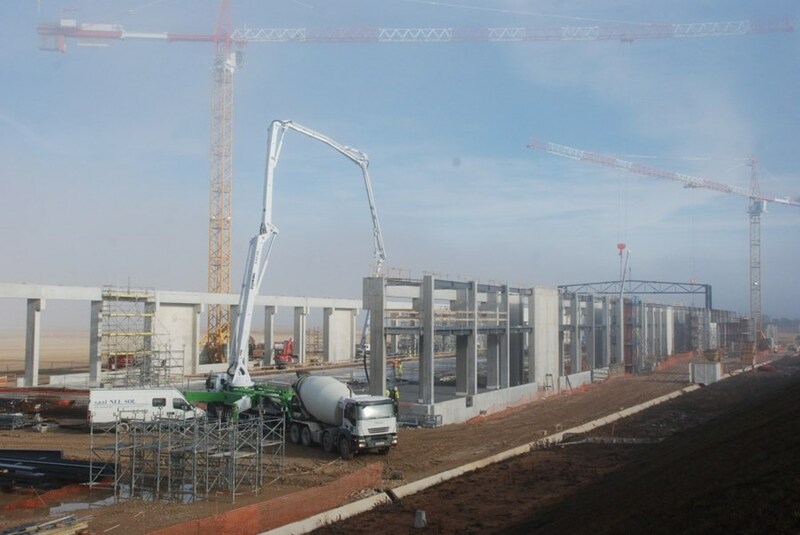 The cranes towering above the concrete structure that will soon hold the winding facility for ITER's poloidal field coils were still hidden in the morning mist when the big steel beams that will support the roof were lifted into place. 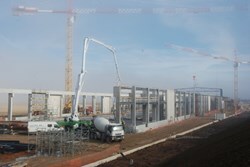 The first two beams had arrived from their manufacturing site in Fleurance in the Department of Gers, situated north-west of Toulouse, the day before. Centimetre by centimetre, the 12-tonne beam was lifted up and put in place. In order to transport them, each beam had been split into three pieces and had to be assembled on site before the crane could pick the 12-tonne structures up and lift them in place. 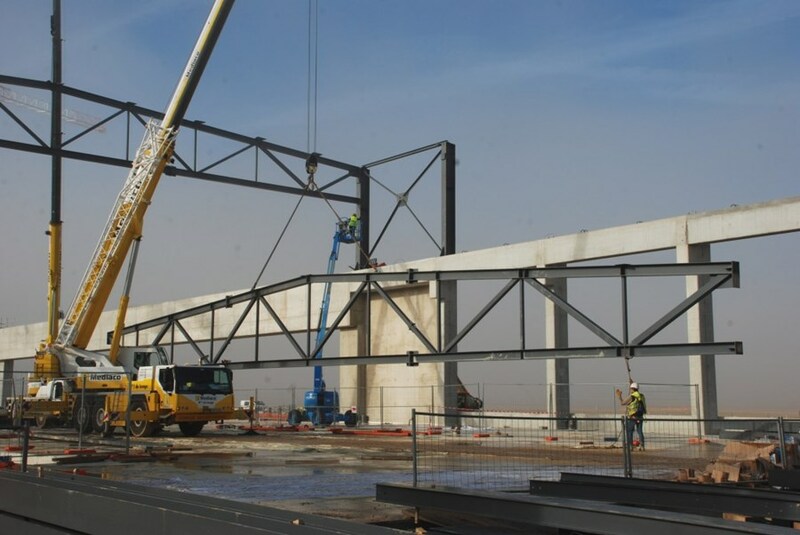 Very soon the other beams will arrive and with a final height of 18.4 metres, the skyline over the ITER construction site will once again change.